Effective tax plans and the transparency maintained in accounts sets companies apart from the others. DNS Accountants, through years of experience, has been able to understand the financial condition of each and every company that seeks our services. Right from the very beginning of the company in the year 2005, DNS Accountants has been instrumental in helping more than 1200 clients realize their financial and accounting goals. 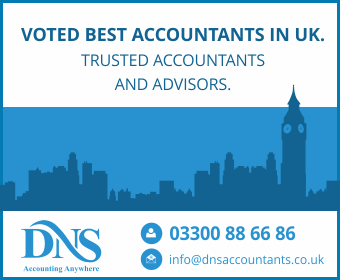 Immaculate financial planning and proper management of accounts have been the major reason for DNS Accountants’ success in the UK. We have been able to provide the best accountants in Bushey for handling varied requirements of small businesses, start-ups, freelancer, contractors and Individuals. Additionally, we also extend our services to businesses in Wirral, Chester, Woking, Camden, Canary wharf, Warrington, Colchester, Wimbledon, and Cardiff. As an accounting and finance firm, DNS Accountants makes sure to leave no stones left unturned for serving the interests of our clients. Our services range from tax planning, tax investigation cover to auto-enrolment and bank account opening. Our Bushey Accountants are handpicked by us, and we make sure to choose the best. These individuals that we have selected for our support team are highly qualified in their field and have years of experience. These experienced people along with their prestigious certifications from reputed accounting bodies like CIMA, IPSE, and ACCA, have created a sound reputation for DNS Accountants in the field of accounting. A town in East England, Bushey was an agricultural region during the 12th century. To the south of Bushey, Bushey Heath is considered to be the largest neighborhood around. This place was developed after the wartime when the government officials gave away few pieces of land to the people to be used for farming. Apart from this, the expansion in the place was brought about after the introduction of the railway system. This led to the rise of the house developers as the number of people who needed a place to stay increased. Entry of railway system in the 19th and the 20th century created jobs for the people who resided in Bushey. Farming died out by the end of the 18th century and thus Bushey Heath became the center of trade and commerce. Apart from all the historic buildings in the region, Bushey also has several entertainment centers and service industries thriving in it. This has led to the increase in demand for accountants in Bushey Heath. The perfect setting of the town has now turned this into a popular spot for filming several scenes for the movies. Every company needs an effective tax plan and the right set of guidance to help them with planning out things. HMRC is very stringent about maintaining proper tax returns by each company. Like mentioned, each business varies and thus the need for a different set of tax plans for the different companies arises. DNS Accountants help the companies to comply with all the regulations and to plan a proper tax return for their finances. DNS considers a tax plan to be efficient only if the company’s finance and the individual person’s financial documents are in sync. If there is a balance between the two, then it means that the accounting work is being handled efficiently. We provide tax accountants in Bushey for all the start-ups, small business, contractors and freelancers. We work closely with the management of all the companies as trusted advisors for their firms. All our tax accountants in Bushey are highly experienced and have been handling work for various clients in different domains and such are equipped to handle any sort of complications. Management accounting and financial improvement are sought after by companies who are on the lookout for stable financial conditions. Our team of accountants in Bushey works as trusted advisors for the businesses and at times provide the secretarial services if needed. The technical know-how of our team and the years of experience that they have gained in this field have given us an edge over the other accountants in Bushey. The appropriate guidance that we provide to our clients has helped us to add great value to their business situation. Our experts work with customers regularly and provide complete and detailed reports about the finances and the expenses related to the company. This financial guidance from us helps our clients to stay ahead of the others in the market. Every employee in the company is legally liable to receive what is called as the Qualifying Workplace Pension Scheme from the firm that they work in. DNS Accountants provides Auto Enrolment for this function, wherein the pension amount to be paid for the person is calculated directly from the payroll by factoring in the business accomplished by the company. This way, the company is relieved and need not spend time on calculating the amount and showing it for proof when the HMRC demands it. We handle all the communication with the HMRC on behalf of our clients. DNS covers all bases when it comes to finance and accounting requirements of our clients. Apart from Bushey, DNS Accountants caters to the companies based in nearby regions of Harrow, Edgware, Stanmore and Pinner. Choose DNS Accountants for all your financial and accounting needs.